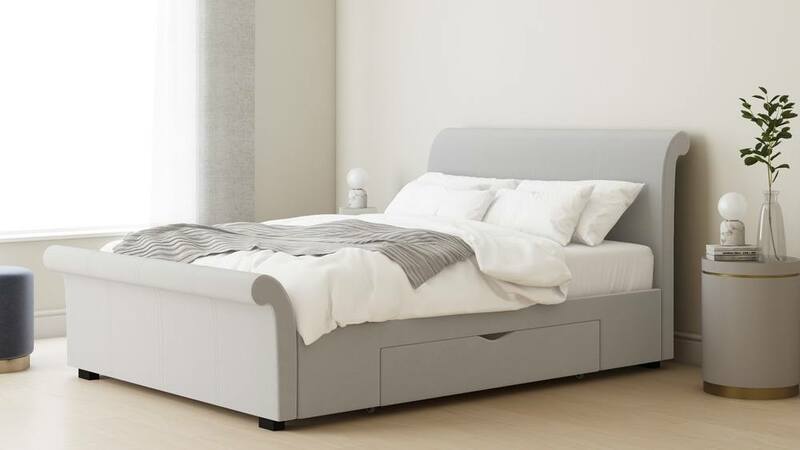 The Myla King Size Bed is a bed that's big enough to stretch out but comfortable enough that you can still get cosy and snuggle up tight. With two drawers, one either side of the bed, the Myla is as practical as it is good-looking, adding a luxe grey velvet touch to your bedroom interior. 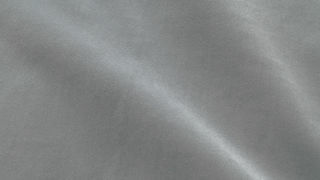 The feather grey velvet frame is a really easy to style light grey. 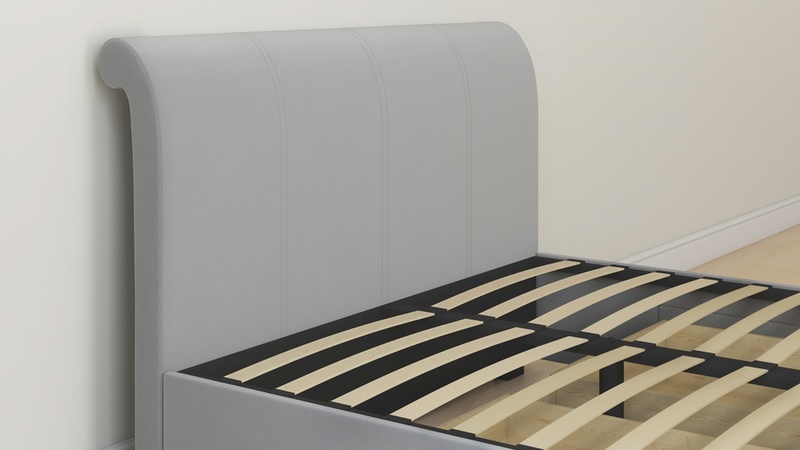 It can be matched with a variety of finishes, so you'll have no trouble styling this bed in your existing interior. Having a taller headboard gives a bed a more formal and impactful look in your room, and the Myla does this beautifully with the subtle rolled detail on the headboard. 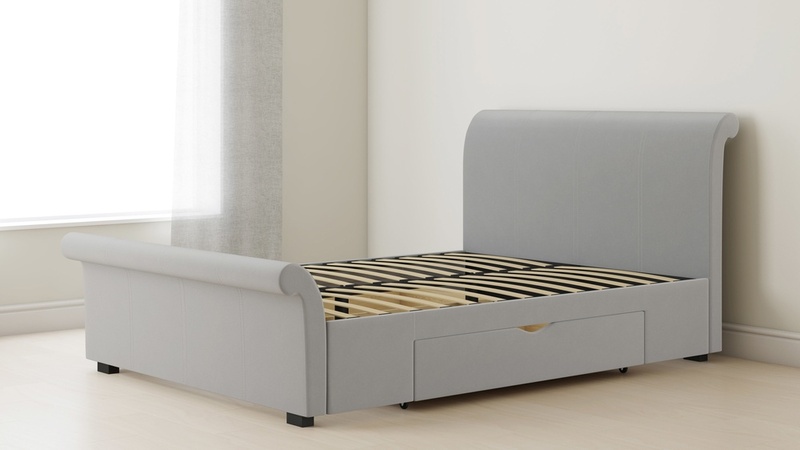 This bed has a rolled footboard which is not only a nice finishing touch, but it's also ideal if you want to watch TV in bed as the footboard won't be in the way. 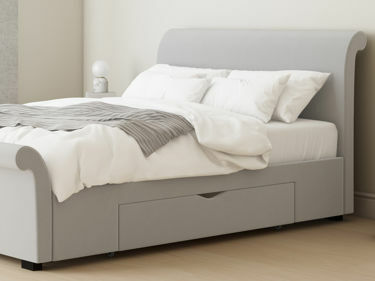 The Myla bed is also available in a double if you love the look but need a slightly smaller size.